Israeli-Palestinian peace talks, which have been going on for several months, are at an impasse. 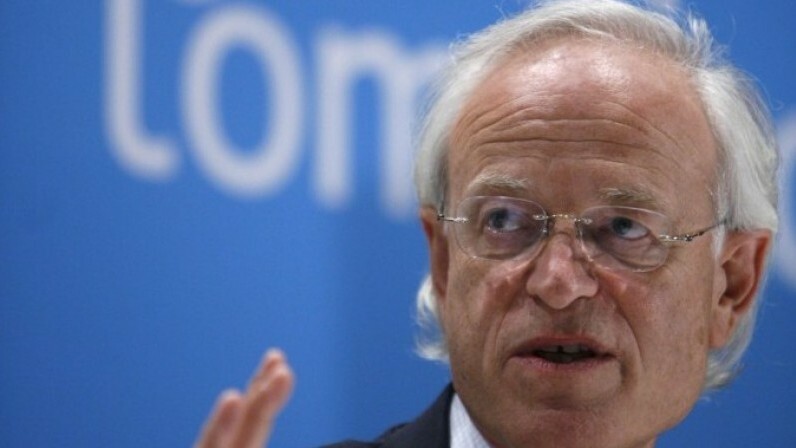 In order to unlock the current situation, Martin Indyk, U.S. representative at the talks, said that the United States is going to solve the most difficult problems by pouring large sums of money on them. 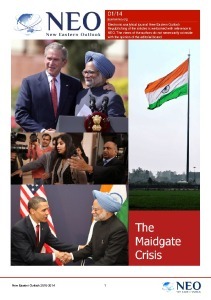 According to him, Secretary of State John Kerry has already notified Congress of this. In particular, it is planned to spend American money for the construction of new barriers on the border with Jordan, which will be protected by sophisticated electronic surveillance systems and UAVs. Americans are going to pay significant cash indemnities to Palestinian refugees, as well as to Jews, who at one time were forced to leave the Arab countries. 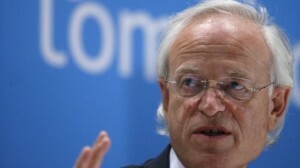 In his turn, Martin Indyk launched a new initiative on behalf of the United States. Washington offers a plan to reserve for Israel about 75–80% of the settlements behind the so-called “Green Line”, in other words, in the occupied territories, while 20–25% of Jewish settlements on the West Bank will come under Palestinian control. Residents of these settlements, he said, will be invited to become citizens of the Palestinian state. According to the American representative, the president of the Palestinian National Authority Mahmoud Abbas has already agreed to this plan. However, according to media reports, Saeb Erekat, a senior PLO representative, head of the Palestinian delegation at the talks, said that all Jewish settlers, regardless of their nationality, would have to leave the Palestinian territories. The Arab League welcomed the beginning of a new stage in the Palestinian-Israeli talks and promised their full political support to the Palestinians. The Arab League has attempted but not very successfully, to participate in the settlement process. Deputy Secretary General of the League Muhammad Sabiah has recently criticized Israel for its refusal to accept the Arab Peace Initiative of 2002. In accordance with this initiative, the Arab countries will have to recognize Israel and establish diplomatic relations with it, if the negotiations turn out to be successful. For the oil monarchies of the Persian Gulf this is, probably, an acceptable step. Formal recognition will not prevent the Arab regimes from secretly funding the Islamist movements. Simultaneously, the alliance with Israel will improve their relationship with the United States and will strengthen their position in the confrontation with Iran. Jordan is most interested in the settlement of the conflict. It does not want to take responsibility for the population of the autonomous region, as was suggested in one of the projects for the solution of the conflict. Peace on the boarders is no less important for Amman; it hopes to get rid of at least some of the Palestinians currently living in the country, upon solving the issue of refugees. Egypt, the former chief regional mediator, has too many problems itself. The ousted President Mohamed Morsi has not managed to reconcile Fatah and Hamas. Thus, the president of the Palestinian Authority, Mahmoud Abbas, is actually representing in the talks only the West Bank. Hamas leaders have condemned the negotiations between Israel and “a bunch of compromisers” and announced that they reject any and all arrangements in advance. According to them, Abbas wants to deal with his rivals using Israel and the new Egyptian regime, while negotiations are a path to the final Palestinian separation and to another Israeli war in the Gaza. This has been recently announced by one of the activists of the Islamic Resistance Movement Osama Hamdan. Israeli-Palestinian negotiations were greeted without enthusiasm in the West Bank, Fatah’s fiefdom, either. Many residents of the West Bank are indignant at Abbas’s refusal to accept the preconditions – the moratorium on the construction behind the “green line” and the boarders of 1967. It is assumed that the Palestinian Authority, as well as Israel, will hold a referendum on the agreement with the Jewish state. Most Palestinians do not believe in the productive outcome of the dialogue. Many regard negotiations as a way to promote Palestinian demands. Indeed, the terms, which long before had been presented by European diplomacy as “unacceptable conditions” presented to Israel by the Palestinian side, and namely, the division of Jerusalem, the return of refugees, stopping of settlement activity, today, due to constant discussion, are recognized as valid and legitimate. However, the Palestinian side has a unanimous opinion on this issue. This applies to the release of prisoners, serving sentences in Israeli prisons. Various groups have long maintained an unspoken competition for the number of bargained Palestinian prisoners from Israel. No matter which way this goal is achieved, be it by seizure of hostages or by setting conditions for starting negotiations. That is why Abbas became a hero both on the West Bank and in Gaza. Israel has always fulfilled this requirement, even though it falls under the category of preconditions, which Israel said it did not agree to. Iran (though not an Arab country, but an important regional player, whose opinions cannot be ignored), naturally condemns the new round of Israeli-Palestinian dialogue. Perhaps, Syria would have joined it, if President Bashar al-Assad were not involved in a war of survival now. The Iranian regime does not recognize Israel’s right to exist, and declares itself a defender of the rights of Palestinians. Tehran has its own recipe for the solution of the conflict: release of all the “occupied” territories, return of refugees and proclamation of Palestine’s independence with its capital in Jerusalem. In contrast to the Arab initiative, Iran does not offer anything in return for Israel, which should disappear as the Jewish national center, instead a Palestinian state, where Jews and Christians become religious minorities, would appear. In reality, the ayatollah regime is not interested in putting an end to the confrontation; they would rather preserve it as long as possible. Anti-Zionist rhetoric and support for extremist groups fighting against Israel is a powerful factor in Iranian influence. 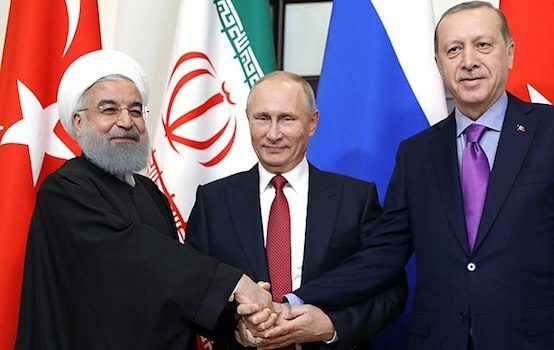 In addition, the Islamic Republic is afraid of the implementation of the final paragraph of the Arab initiative – alliance of oil monarchies with Israel. Then, Iran’s position would be much worse. However, not only Tehran, but also the entire region does not believe in such a possibility. According to Kerry, Israeli Prime Minister Benjamin Netanyahu has recently taken ​​a series of “bold steps”, for which he thanked him. According to the American Secretary of State, there have occurred major shifts in the Israeli position. However, Kerry did not say what shifts. If everything is so wonderful, then Washington’s warning and its pessimistic predictions about the possible failure of the negotiations and the process of de-legitimization of Israel, expected in case of failure, sound puzzling. According to Indyk, Jerusalem is mentioned only generally in the American plan and the talks about its status will be carried out later. However, the parties are unlikely to move over to the “problem of Jerusalem”, because the positions of the parties on all the other issues in the negotiations, despite the new proposals of the U.S., remain unchanged. One could assume that the Americans are still creating illusions, and, in spite of their new initiative and the “bold steps” of the Israeli prime minister, “things haven’t budged an inch”. Such a situation leads only to the danger of a new and broader Israeli-Palestinian conflict, which can involve Iran, as well. The United States, as a “strategic ally” of Israel will not be able to stay away, and no doubt would find itself in an extremely difficult and unprecedented situation. Alexander Efimov, PhD in History, Middle East expert, exclusively for the online magazine “New Eastern Outlook”.